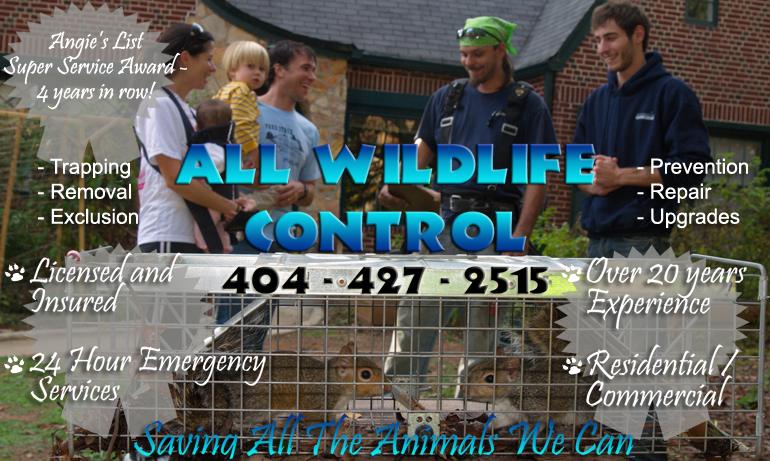 All Wildlife Control believes that for the most part, any company can put anything they want in this section, most testimonials are probably written by the owner of the company, in the interest of absolute integrity, AWC completely relies on outside, independent referral companies to collect and display reviews about our company. 1) Angie’s List - All Wildlife Control has won their Best Service / Best Price Award for the past three years in a row, 2009, 2010 & 2011. This award goes to the top 5% of Animal Control Companies in the state of Georgia. There are quite a few criteria that a company has to meet to obtain this award, AWC is very proud to have won this award and highly recommends that all customers sign up for Angie’s List and leave a review for all of their contractors. The cost to join is minimal compared to the benefit of hiring great contractors and avoiding the scam artists. Any Company that you Hire through Angie’s List, the company name is on the line because it is an independent organization, WE (the contractors) HAVE NO CONTROL on what grades our customers leave us. 2) Kudzu - All Wildlife Control maintains a 5 Star rating on Kudzu. The only difference between Angie’s List and Kudzu, is that Kudzu is Free! There is no charge to join, review contractors referrals, and leave one of your own. Once again, AWC highly recommends that all homeowners use this service, its good for good companies, good for you, and BAD for BAD contractors, I like to think of it as Homeowners Revenge! 3) Yellow Pages - This referral service is an upstart and very few people know about it yet, actually most of the comments out there are from people that are really pissed off and trying to find a place to express their anger at a particular contractor. AWC believes that due to the success of the other referral services, that in the future this will become a viable source of reviews. Please take the time to do your research before hiring any contractor. Read the reviews, don't just look at the grades. Ask for a copy of the license or look it up online, anyone that does not have a license is probably someone you do not want to hire, basically they are committing a crime when they do animal control without a license. Either ask for a copy of their state certified license or you can look it up online. We are licensed by the state of Georgia, Dept. of Natural Resources / Wildlife Division , and everyone that is licensed is on the list with their name, phone number, and the company they work for (the list is in county order, AWC is headquartered in Fulton). The last point is to ask for a copy of the Liability Insurance, this is required by the state, and ask for the insurance company to send it directly to you, do not take a piece of paper that someone hands you, a lot of companies print up their own certificates which are not valid, the best option is to have the insurance company email or fax you a copy of the certificate directly. AWC's stated goal is to bring INTEGRITY back to the Animal Control Business. We take this very seriously, we have all applicable licenses and insurance, and we follow all Federal and State Laws regarding the Removal and Handling of Wildlife. 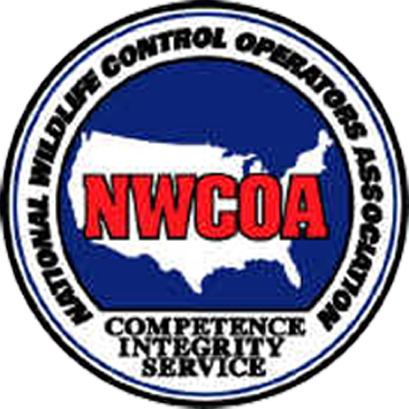 AWC is a strong supporting member of the NWCOA - National Wildlife Control Operators Association, which works closely with the Dept. of Natural Resources. If you need anymore information about All Wildlife Control or any other Animal Removal Company after doing all your research, the last suggestion is to CALL the Dept. of Natural Resources for the State of Georgia, they know who I am and what I am doing. All Wildlife Control has never had a complaint - EVER! - and they know what all of the other companies are doing as they keep a file on all of us. Feel free to call them directly and ask them what they think. Thanks again for taking the time to read all this, we believe an educated customer is a better customer, they know what to expect from ALL WILDLIFE CONTROL before we even step on your property. When you want the best, call the best! PS My name is Matthew B Field and I am the owner of the company, my direct cell phone number is 404-427-2515. I am available 7 days a week including holidays. If you have any comments, questions, or issues, please call me directly.